Spending time with Mma Ramotswe was refreshing and fun. The main character in the No. #1 Ladies’ Detective Agency series was her usual charming self. With the aid of her capable assistant detective, Mma Makutsi, there is not much that Mma Ramotswe can’t do. 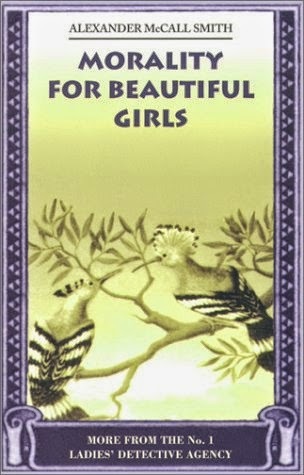 In the third book of the series, the detectives are asked to uncover a plot to poison the brother of a well-known government man as well as determine the integrity of several contestants in an upcoming beauty pageant. There is simplicity about the characters and the way Mr. Smith tells his story and yet it is so full of common sense and wisdom just the same. It was impossible not to laugh out loud throughout the book and even shed a tear near the end. A new detective has opened up his own business in town; Mma Makutsi decides to start her own business to earn extra money; Mr. J.L.B. Matekoni has yet to set a date for the wedding; and Mma Ramotswe is asked to locate a couple of women from a man’s past. 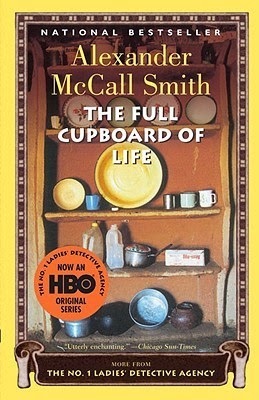 Alexander McCall Smith’s fourth novel in the No. 1 Ladies’ Detective Agency series was a pleasant way to spend time. It’s hard not to like Mma Ramotswe and the other characters in the series. Although not quite as enjoyable as the third book in the series, I did like the book. The Full Cupboard of Life was a delightful little book. Mr. Smith brings back the wonderful characters in the fifth installment of the No. 1 Ladies’ Detective Agency. This time around, Mma Ramotswe is called upon to determine which of a wealthy woman’s suitors has good intentions when it comes to marrying her. There is also the little concern of a parachute jump fundraiser which Mma Ramotswe’s fiancée J.L.B. Matekoni has been recruited to participate. The ending of the novel was a pleasant surprise. 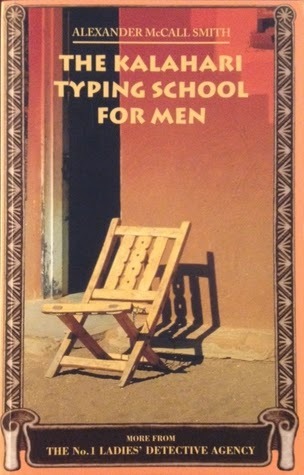 I enjoyed spending time in Botswana with old friends, and as usual, Mr. Smith has created an easy going and heartwarming novel that leaves behind a feeling of satisfaction and happiness. Although more melancholy than previous books in the No. 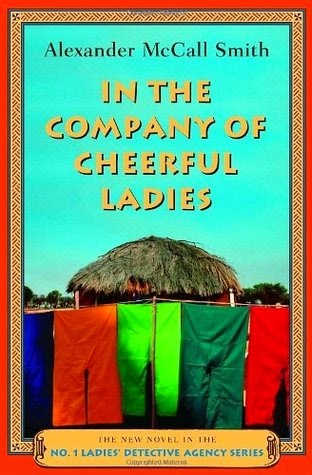 1 Ladies’ Detective Agency by Alexander McCall Smith, In the Company of Cheerful Ladies is my favorite in the series so far. The themes of the various stories throughout the book seemed to be in a similar vein, more so than in previous books. I felt that I was given a closer look into the lives of the characters, including the lead character, Mma Ramotswe, as she comes face to face with a person much better forgotten from her past. Assistant Detective Mma Makutsi continues to gain my admiration in each book as she shows off her skill at observation and assisting her friends. In this, the 6th novel in the series, Mma Makutsi takes up dancing lessons, the older apprentice quits his job to be with a wealthy older woman, and a couple of charming new characters are introduced. Mr. Smith has written another light hearted and enjoyable novel that kept me entertained and wanting to read more. Author Alexander McCall Smith has written another enjoyable novel about the characters from the No. 1 Ladies’ Detective Agency series. In the 7th installment in the series, Mma Ramotswe and friends investigate the cause for unease in a nearby town, a doctor whose behavior is questionable, and the source behind a blackmail threat. On the personal front, Mma Ramotswe considers going on a diet and Mma Makutsi fears she’s lost her fiancé when she tells him she’s a feminist. As with previous books in the series, Blue Shoes and Happiness made for a relaxing reading experience as I visited with my old friends in Botswana. The Africa that Mma Ramostwe lives in seems so beautiful. It’s hard not to love the charm of the people and the country as portrayed by Mr. Smith. I love this feature that you do. And, do you know I've never read one of the Precious Ramotswe books? I have the first on audio and need to listen to it. I did watch the short TV series and liked it very much. Did you see that? Kay - I hope you like the first book when you listen. The series does not have a strong mystery element, and is really more about the characters and their exploits. The television show was great. I wish they would have continued with it. I thoroughly enjoyed this series! I need to get back to it. They really do make great comfort reads. Samantha - I really enjoy these books. I think of them as comfort food for my brain. I think I might be up to book 8 in the series. I'll have to check back through my book lists. Iliana - Me too, and then somewhere along the way I fell behind. I am not sure where I am in the series right now. #7 may have been the last one I read, now that I think about it. I enjoyed some of the television series, but haven't read any of the books! Shame on me. They really did a good job with the series. It's a bit different from the books.